This production is not an ‘authentic’ reconstruction of baroque opera, but a new work of music-theatrical creativity in which 18th-century music tells a 21st-century story, bringing together Gabriel Prokofiev’s specially composed electronic music and the most modern understanding of how George Frideric’s score would have sounded at the King’s Theatre, London in 1733. 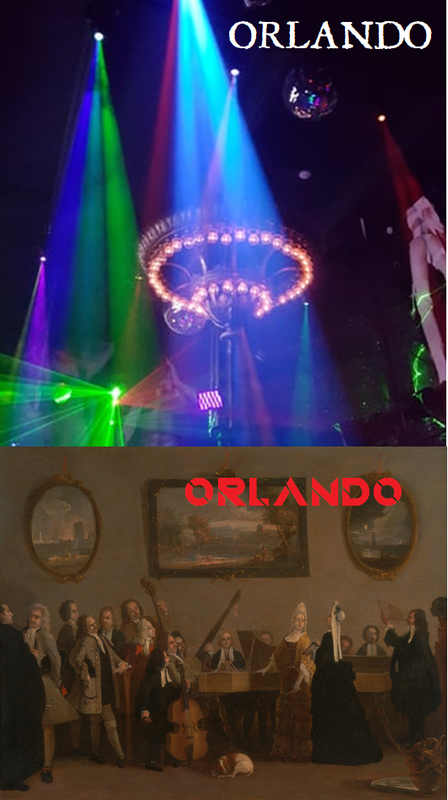 For Orlando, Handel assembled an unusually large orchestra with a powerful bass-section, and the dance-rhythm of the fashionable Gavotte is heard several times, representing Orlando’s fury. In the extraordinary mad-scene created for the famous Italian castrato Senesino, bass instruments play alone as the protagonist descends into a hell of jealous rage. 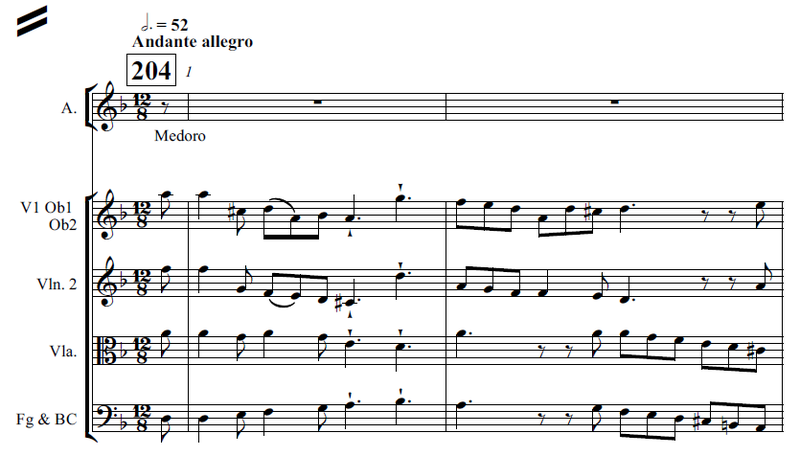 And the full orchestra lurches into 5/8 metre as Orlando imagines himself rowing Charon’s boat into the underworld. Handel freely borrowed from other composers’ (and his own) work, and the previous season he re-wrote two earlier dramas, expanding the chamber-opera Acis & Galatea and transforming a one-act staged masque into the first English oratorio, Esther, performed as a three-act concert with the addition of solo harp, trumpets, drums and a chorus. For Orlando, Handel adapted Carlo Sigismondo Capece’s (1711) story of mad jealousy, itself a re-working of episodes from Ariosto’s 16th-century classic, Orlando furioso. 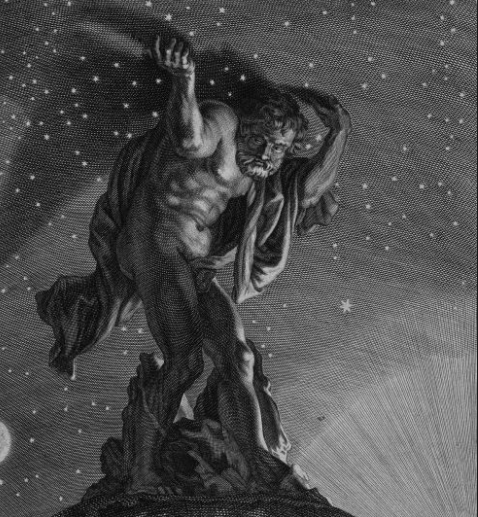 Bernard Picart’s (1710) engraving of the giant Atlas, republished in 1733 as Le Temple des Muses, was re-interpreted as the stage set for the opening scene with the magician Zoroastro. Handel’s audience were thrilled by several spectacular stage transformations, utilising the full resources of period stage machinery and dramatically presented as the result of Zoroastro’s magic, assisted by his demons. 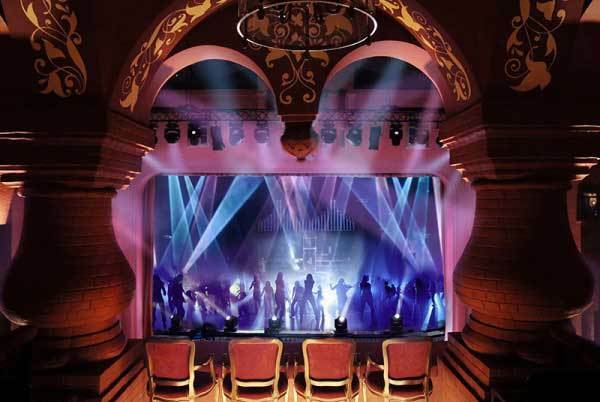 In our production, Schörghofer’s design employs modern stage technology to offer the audience surprise and spectacle, whilst clarifying the subtly interwoven stories as characters from medieval romances (Chanson de Roland, 11th cent) are re-drawn by Boiardo (Orlando innamorato, 1495) Capece, Handel and Isaakyan. 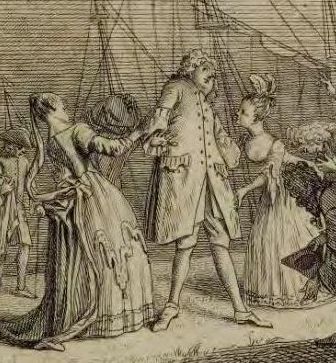 A German musician producing Italian opera in England, Handel writes a conventional French-style overture, but surprises the audience with up-to-date dance-music, a fast Italian giga. 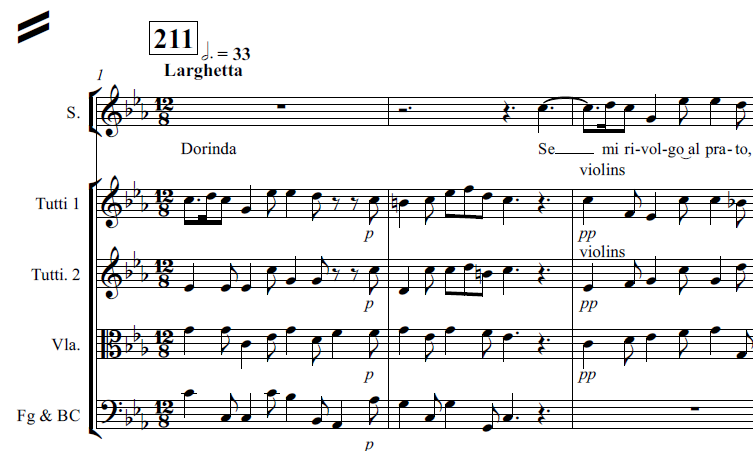 The rythmic drive of the giga is disrupted with broken phrases to depict Dorinda’s misplaced faith in ‘sweet little lies’. 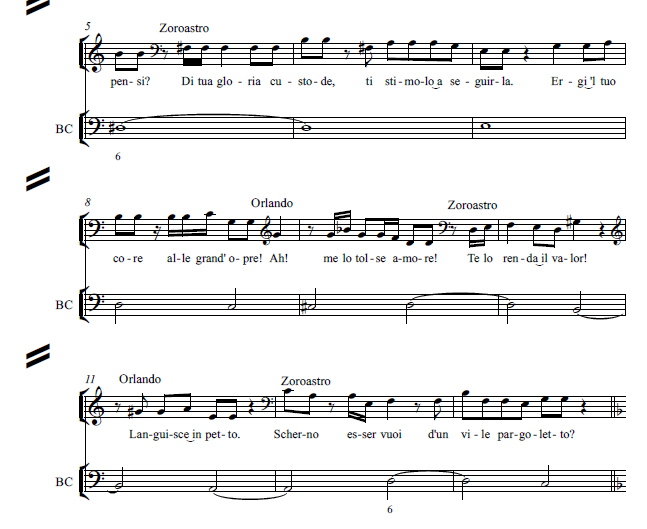 Orlando’s lament in hell is sung to a French passacaille. 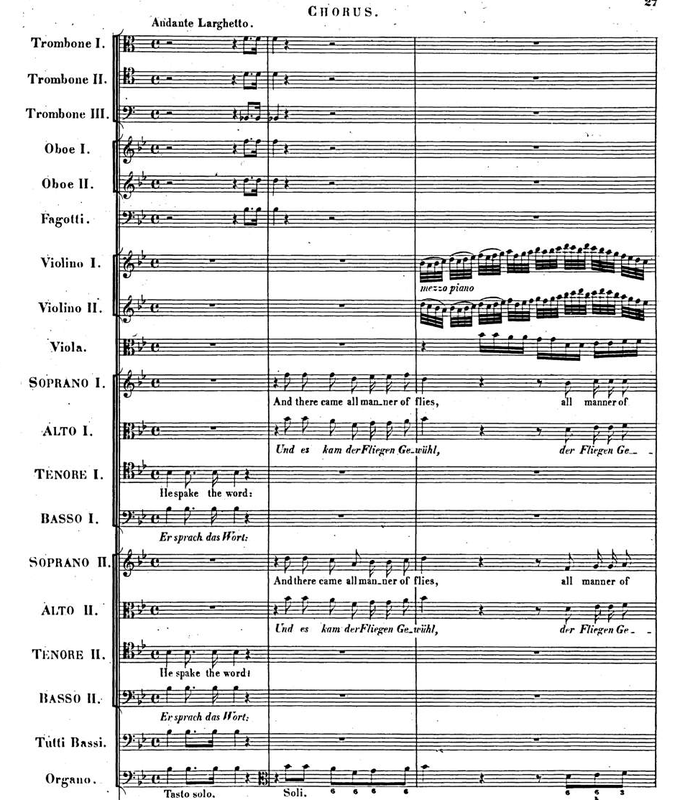 The composer’s bold strokes of dramaturgical re-designing and contrasting musical styles were further transformed by unwritten baroque performance practices. 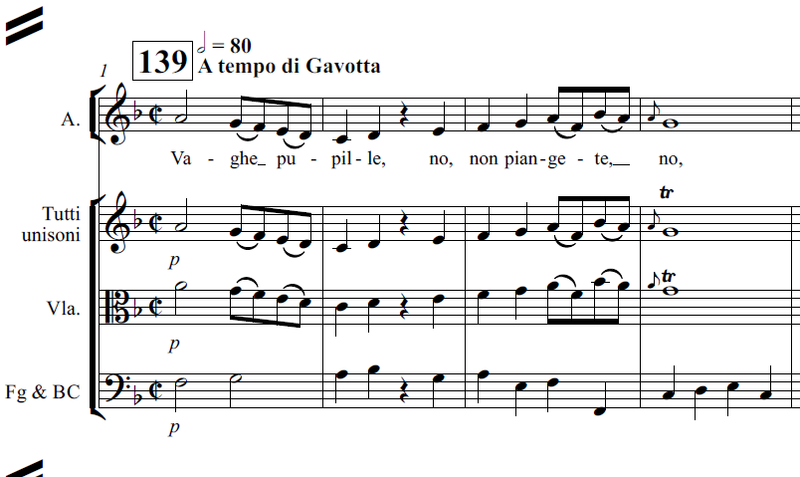 Continuo-players spontaneously realised the written bass-line with rich harmonies and strong rhythms; singers added their own variations to the repeated section of a da capo aria; sometimes time would stop whilst singers or instrumentalists improvised a final cadenza. 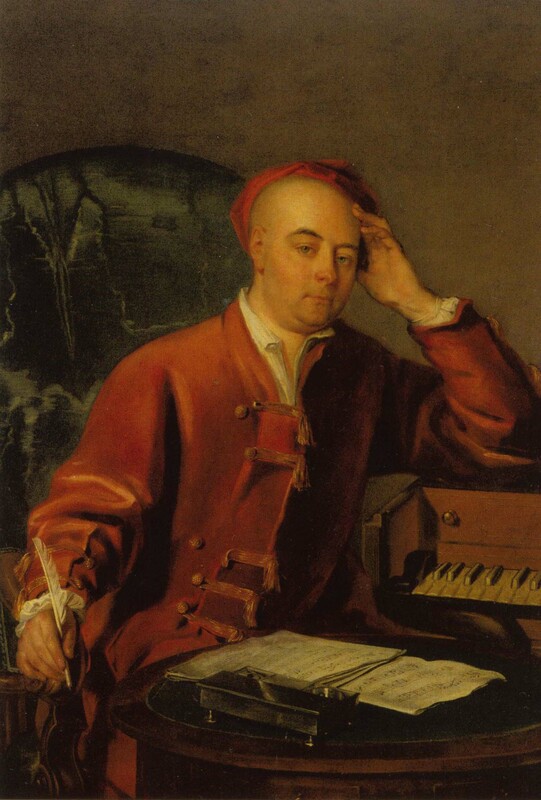 Handel did not conduct, but directed by playing the harpsichord, alongside the theorbo (bass lute). 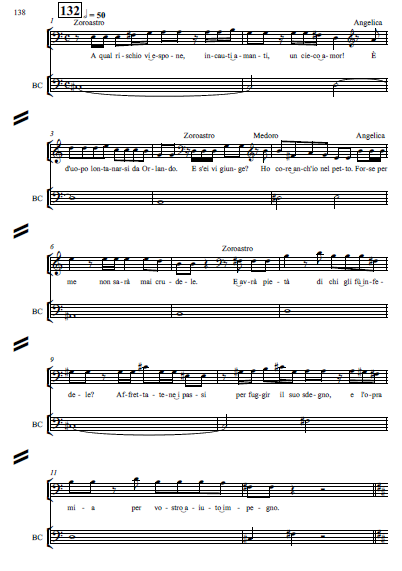 The expression of the vocal line was not indicated with markings of piano and forte, but follows from the accentuation and emotions of the words. 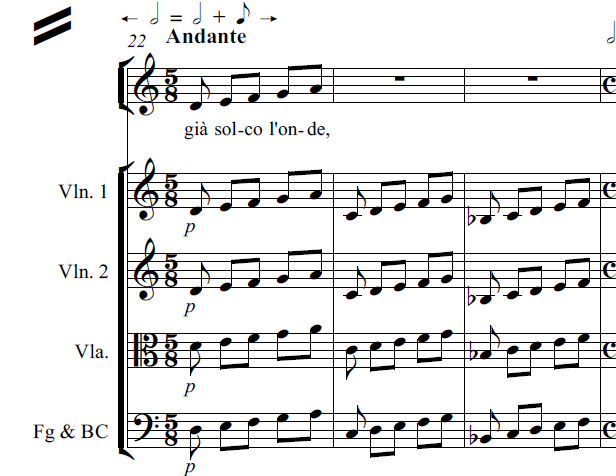 Instrumentalists similarly have few written phrasing-marks, but imitate the crisp articulation of the Italian language with a great variety of bow-strokes. For the eerie calm of Orlando’s final aria we added baroque harp, which in Handel’s dramatic works suggests a vision of heavenly peace. Trumpets and drums represent royal authority and military power; horns and oboes a pastoral idyll; the flute an amorous nightingale or Cupid’s fluttering wings. Modern scholarship has revealed the subtle structure of Handel’s recitatives, which imitate the pitch contours and speech rhythms of a great actor in the baroque theatre. 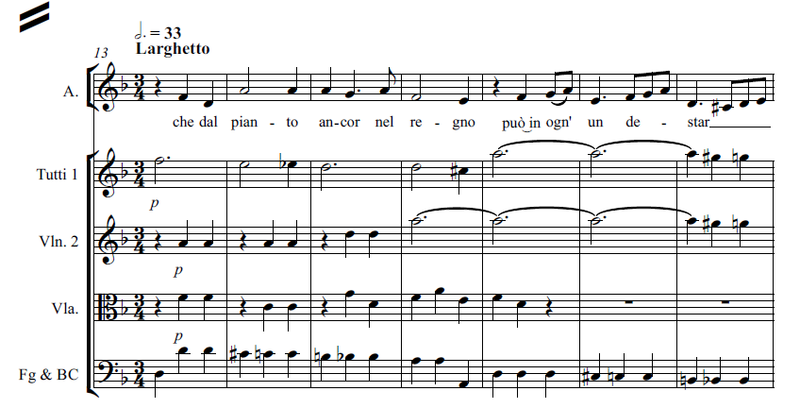 See my previous article on tempo and rhythm for Handel, here. 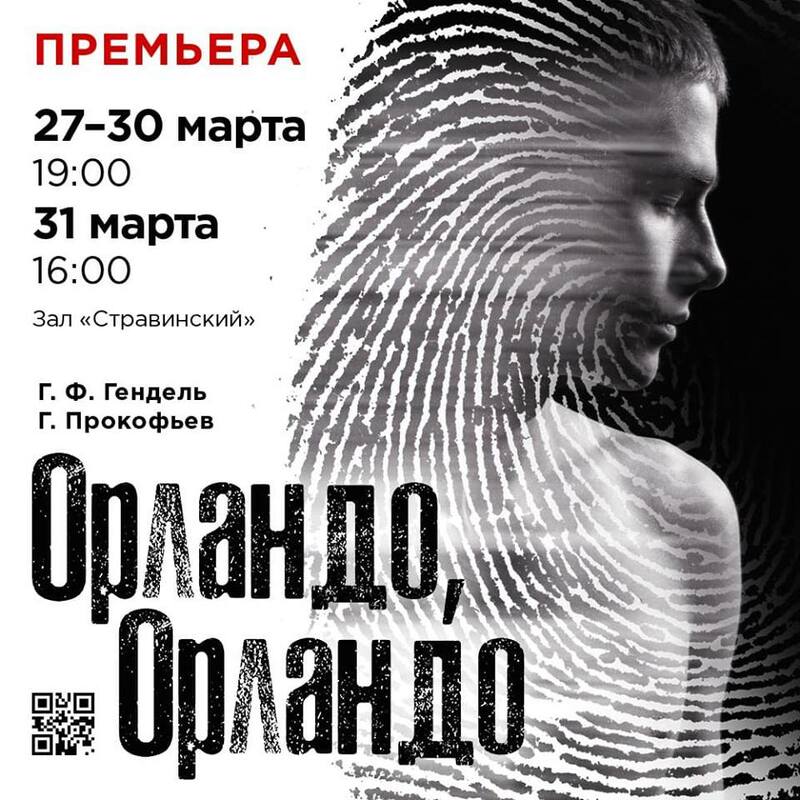 We added a chorus, whose members (in the manner of Handel’s oratorios or Bach’s Passions) comment on and drive forward the events of which, in the end, they are the victims. 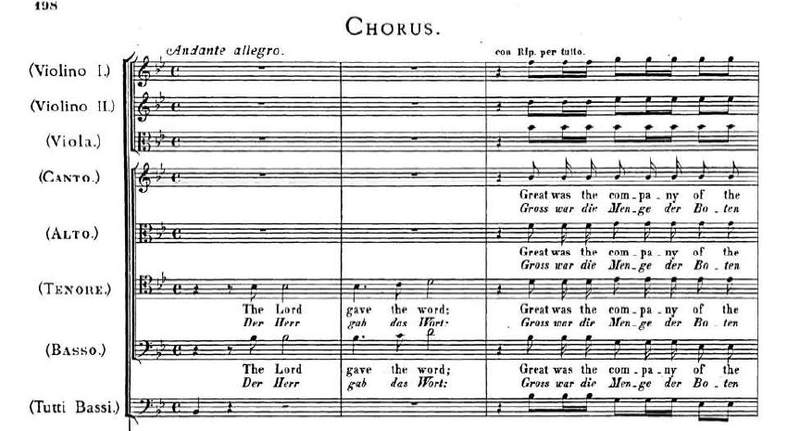 Their music is borrowed from Handel’s drama of cultural identity and religious conflict, Israel in Egypt (1739): Handel himself re-worked one of these choruses for Messiah (1741). 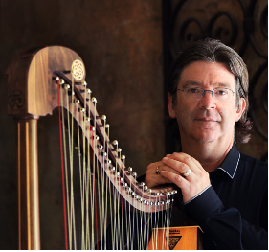 Baroque opera & orchestral director , imaginative continuo-player, Early Harp virtuoso, specialist in baroque gesture & Historical Action, investigator of Flow, Andrew Lawrence-King is one of the world’s leading performers of Early Music and the most recorded harpist of all time. 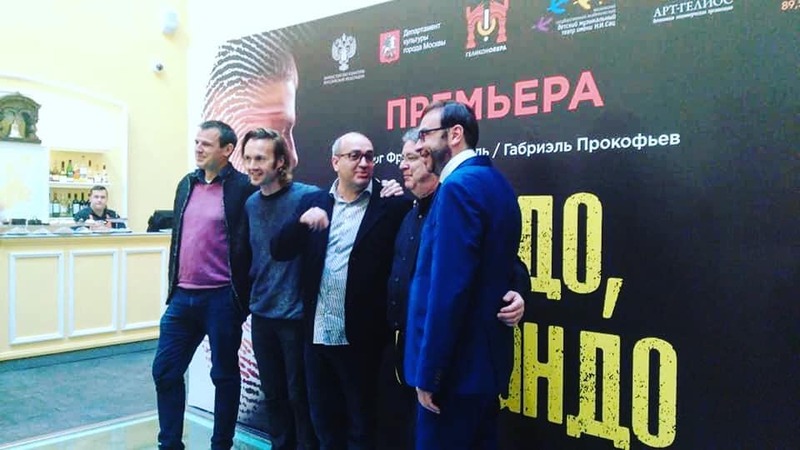 Andrew has directed at La Scala, Milan & Sydney Opera House and won Russia's highest theatrical award, Golden Mask (2012). With Jordi Savall he won a Grammy (2011) & Australia’s Helpmann Award (2013). From 2010-2015, he was Senior Visiting Research Fellow for the Australian Centre for the History of Emotions. Andrew Lawrence-King directs The Harp Consort, combining state-of-the art early music performance with stylish improvisation & entertaining stage presentation; Il Corago, the production team for historical staging of early opera; International Baroque Opera Studio. Andrew's hobbies include marathon running, sailing, kayaking, fencing (modern epée & historical rapier) and Tai Chi. He is a qualified hypnotist.